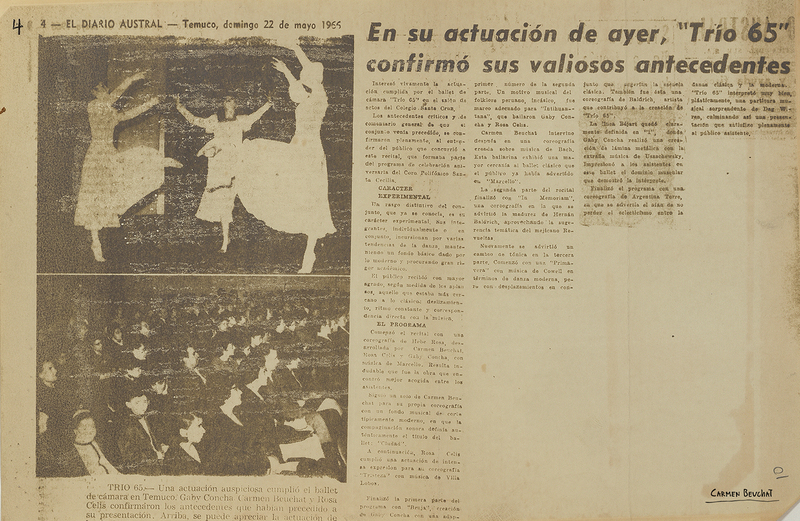 Press review written for El Diario Austral, published on May 22, 1966, titled: “En su actuación de ayer, “Trío 65″ confirmó sus valiosos antecedentes”. It presents an account of the program presented by the group composed by Carmen Beuchat, Gaby Concha and Rosa Celis at the Salón de Actos of Colegio Santa Cruz in Temuco. Physical Description: Photocopy 33 x 21,6 cm.